Soniah Kamal - Can You Hear the Nightbird Call? 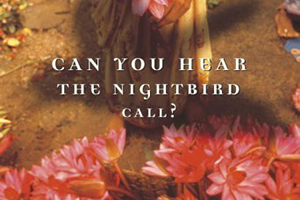 Anita Rau Badami’s third novel Can You Hear the Nightbird Call? is a bedazzling addition to the burgeoning genre of novels exploring the relation between the political and the personal, how ordinary lives survive extra-ordinary tragedies, and what survival in this context means. Nightbird spans 1926 India to 1985 Canada. It is narrated by three women — Sharan, Leela and Nimmo — who all ultimately share the fate of being at the wrong place at the wrong time. The reader is not bogged down by history as Badami flawlessly weaves events such as the Golden Temple incident, Indira Gandhi’s assassination, and the subsequent massacre of the Sikhs through the eyes of the characters. Money and class are a big part of this novel — Badami depicts how neither wealth, nor pedigree, nor living in the East or the West can save one from ‘that cannot happen to me’. It is 1928 and Sharanjeet Kaur is a beautiful and precocious, albeit poor and fatherless, Punjabi village belle who wields her beauty to steal the man her plain-jane sister should have married. Subsequently Sharan joins her successful husband, Pa ji, in Canada, the very Canada Sharan’s father had tried to immigrate to in 1914 on the Komagatu Maru, the ship which was turned back from Canada on account of the then exclusionary laws to keep Asians out. Decades later Canada has not only allowed Sharan on shore but has also been very good to her. In Sharan and Pa ji’s Indian grocery store and café, Badami sketches the rise of immigrants from a village background into middle class Canadians able to open their hearts and home — ostentatiously named ‘Taj Mahal’ — to aid new immigrants in settling down. In Pa ji — indeed in most of the husbands of the novel — Badami paints a portrait of a man who respects his wife and encourages her to come into her own rather than being the root of all her troubles. Badami has a gift of sketching the essence of a Sharan, a Nimmo, a Leela, a Jaspreet and yet molding them into individuals the reader knows all too well and, moreover, will root for no matter how devious they may be. And Sharan is as devious as they come. However, when her sister– now married in India with three children — suddenly stops writing to her after the 1947 partition, Sharan is stricken with guilt over the safe, prosperous life she cheated her sister of. She longs for news of her sister and news finally arrives, years later, in the form of new immigrant Leela Bhat whom Sharan is helping settle down. Co-incidences, those red herrings which can easily render a good read implausible, are handled dexterously in this novel and so seem uncontrived. Leela Bhat’s story is almost peripheral to that of Sharan and her neice, Nimmo’s. However in Leela, Badami illustrates how people who have nothing to do with anything nevertheless get caught between everything. Leela is the child of an Indian father and German mother who is never accepted into the family by her cantankerous crab of a mother-in-law who preaches piety but practices otherwise. As a result, Leela too is treated like an outsider. She grows up feeling like an in-between, like the King Trishanku hanging between the two worlds of heaven and earth, an image Badami employs in previous novels too. Neglect forces the dreamy Leela to become shrewd and she finally finds a beloved home when she manages to marry into the ‘famous family of Kunjoor Bhats.’ Life would be sweet, except that her husband moves to Canada. What a blessing it is to die in your own bed, under your own roof, with your family surrounding you, full of the knowledge that you have lived as thoroughly as you wanted to. Badami wrestles potentially melodramatic material into quietly devastating moments by her lack, for the most part, of authorial intrusions, as well as her expert skill with symbolism. In fact symbolism is the glue which binds the novel together. The reader will never think of lavender soap the same way, or bin of grain, or even the mundane act of painting walls. And the smoking gun Badami introduces to wrap things up goes off in a way that is unforgettable. In the six years since the restaurant had opened, Samuel Hunt had become known for his uncomplimentary sentiments towards the immigrants who did not share his racial heritage — a fact that used to aggravate Bibi-ji no end, until she came to see him as a sad old man whose eyes and ears were so sealed by his skin that he could neither witness nor understand the changing world. But whatever his feelings towards the desis who gathered at The Delhi Junction, Sam Hunt could not resist their food. After twenty five years in India, the man had developed a taste for curries. The taste had become a craving once a week, which was when he marched over to The Delhi Junction. There was also, perhaps, an unacknowledged need to mingle with the people who had surrounded him for a quarter of a century, to argue with them, to hear the mixture of the languages, to smell familiar smells. In short. Bibi-ji realized with some amusement, Samuel Hunt, the Englishman transplanted to Canada, was doing the splits between two cultures, just like the desis were. One wonders if this is Badami’s retort to political writer Samuel Huntington, whose essay ‘The Clash of Civilization’ popularized the inevitable conflict between East and West via culture and religions. Nimmo, Sharan’s long lost niece, was a toddler when she lost her parents and two brothers to the violence of 1947. All Nimmo retains from her past is a postcard she is uncertain is really hers, and memories which she isn’t sure are true memories or only ‘figments of her imagination?’ Badami writes with burning pen about the pain of piecing together one’s past rather than just the glory of reinvention that Pa ji encapsulates. Nimmo’s particular past continues to feed her nightmares. Sometimes in your life you have to let the fear go, her kind hearted husband, Satpal, advises her. But it is advice the rock solid Nimmo is hard pressed to take and, through her dilemma, Badami rightly ponders how one can possibly take this advice when one knows how easily a ‘happy’ life can be cast asunder. Badami also probes what quality of life one can live if one is constantly looking over one’s shoulder for things to go horribly wrong. When things do go horribly wrong for the beleaguered Nimmo, the gut wrenching events challenge even the reader to emerge unscathed. In Badami’s case being witness to a gut wrenching incident led to the writing of this novel. In the riots that followed the assassination of Indira Gandhi, Badami saw a Sikh being burned alive and then tossed over a bridge. Can You Hear the Nightbird Call? is dedicated to that unknown man as well as to the victims of Air India 182, a flight bombed en route from Canada to India in supposed retaliation for the crackdown on Sikhs, the crackdown itself a retaliation for Indira Gandhi’s assassination, the assassination a retaliation for her order to storm the Golden Temple and so on and so forth the domino effect goes. Indra the god of heaven flung a net over the world… At each node of this net there hung a gem, so arranged that if you looked at one you saw all the others reflected in it. as each gem reflected every other one, so was every human affected by the miseries and joys of every other human, every other human living thing of the planet. When one gem was touched, hundreds of others shimmered or danced in response, and tear in the net made the whole world tremble. Preethi stopped reading and looked out of the window (of the plane). Far below, from out of the pitch darkness, a long string of brilliant lights stretched like gems into infinity. The plane was crossing the India-Pakistan border, which was lit up in vigilance, echoing the line that had been drawn on maps in India and Delhi little more than two decades ago to mark the beginning and end of a pair of young nations at war with each other from birth. Leela leaned across her daughter to peer out of the window. She gazed down at the brilliance scattered across the darkness, imagines the mountains, valleys and plains cut by that rope of light. Perhaps, she thought drowsily, reluctant to dampen her daughter’s excitement by telling her the truth, perhaps it was Indra’s net. And their movement, their migration from one world to another, had set it in motion, causing a series of tremors. How it would all end, she did not know. The final denouement enfolds in a gorgeously controlled piece of writing that could, in the hands of a lesser writer, have been a sentimental mess. In an interview Badami says that she’d written a whole chapter aboard Flight 182 but that, fearing there was only so much emotional violence a reader could take, she took it out. Where Badami has let the reader in for so much heart break, I think a more thorough description could have been borne equally well. Also there was one mystery I would have liked solved: when their son leaves for Canada, should not affording a phone of their own be at the top of Nimmo and Satpal’s to buy list, especially since the one neighbor whose phone they have to constantly use is a very crotchety troublemaker. I suppose that not buying a phone helped the plot along. Still, this is a very minor quibble in an otherwise beautifully crafted story. In the same vein as fellow Canadian-Indian writer Rohinton Mistry’s masterpiece A Fine Balance, Anita Rau Badami has written a fine novel about ordinary people finding extraordinary strength to get on with life. Can You Hear the Nightbird Call? is a masterful leap from Badami’s previous two novels, the much acclaimed Tamarind Mem and the award winning The Hero’s Walk which also explore the theme of “it’s a small world and we are all connected”, but be warned — Nightbird is a painful read. A read which makes you believe ‘it can happen to me’ — then cast the warning aside because you must read this novel, even as it twists and turns your heart inside out.